For decades, immigrants from all parts of the world have come to the United States, bringing with them their unsurpassed talents and ground breaking innovations. This entrepreneurial spirit was first fostered by our founding fathers and later matched by such brilliant minds as, telecommunications magnate Alexander Graham, Google founder and college dropout Sergey Brin, and Nordstrom founders John W. Nordstrom and Carl F. Wallin, all of whom immigrated to the United States in pursuit of the American dream. Such immigrants have continued to shatter conventions by making significant contributions to our country’s history, its technology, and economy. In early 2013, the Kauffman Foundation released an updated report as a supplement to the Kauffman Index of Entrepreneurial Activity, which tracks new business creation in the United States. The report studied rates of entrepreneurial activity among different demographic groups during an 18 year period, beginning in 1996 through 2013. Of interest, is the report’s finding that the number of immigrants who were new entrepreneurs in 2013, at 26 percent, was nearly twice that of the native-born population of non-immigrants, a rate that was up 6 points from 19 percent in 2003. The United States government has struggled to meet the demands of this highly talented pool of immigrants, being unable to provide the necessary support immigrant entrepreneurs require to launch their unique ventures in the United States. This has become a problem of great magnitude when considering that American businesses and technology are falling behind in global proportions, producing fewer and fewer entrepreneurs on a global level. 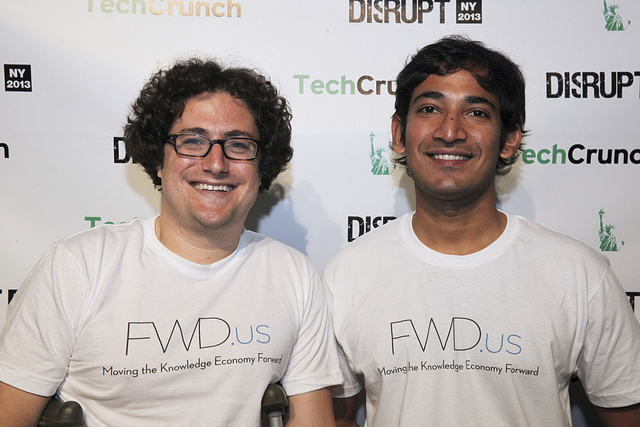 The second organization, FWD.us, is an organization that was started by iconic leaders of the tech community including Bill Gates and Mark Zuckerberg, with the goal of promoting policies that encourage educational and comprehensive immigration reform, in the hope that American businesses remain competitive. Together these two organizations have joined with other tech companies across the United States through an event known as, iCodeImmigration, a series of nationwide events that took place in nine American cities over the course of two weeks. The event brought together American and foreign born entrepreneurs to discuss the importance of immigration reform as a local and national imperative to launch their start-ups and recruit employees. At an event in Cincinnati, Ohio, business leaders, tech leaders, and change makers from all over the world, expressed the need to welcome the world’s most talented group of immigrants, in order for the United States to remain a viable competitor with the world’s most advanced economies. At the Cincinnati meeting, Grant Schaffner, a South African immigrant himself and president of start-up Protostar Engineering, claimed he was shocked that foreign students educated at American institutions were not invited to stay and contribute to the economy. Unlike countries like Canada and Chile, who offer incentives and resources for immigrant entrepreneurs to launch their start-ups, the United States has fallen behind creating merely obstacles that stifle our country’s growth. Many shareholders depend on immigration reform, from DREAMers to entrepreneurs, to growing companies and start-ups. It is time for Washington to recognize the iCodeImmigration mantra; immigration reform really isn’t a tough code to crack.